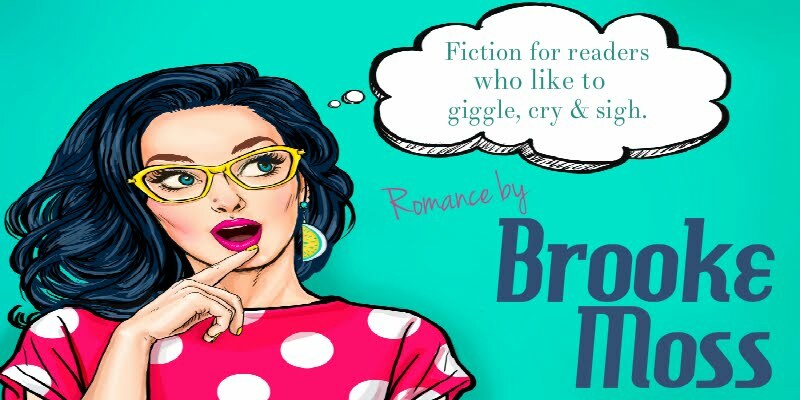 Multi published author Brooke Moss prefers her books filled with drama, romance, whimsy, and just a sprinkling of humor. She's a hopeless romantic, and that's what drives her to write sweet romance for the adult, new adult, and young adult genres. Brooke grew up in the beautiful inland northwest, amongst the rolling hills of the Palouse. Simply put, she was a weird kid. She talked to herself a lot; never, ever wore shoes; made paper doll families out of her mother's JC Penney catalogues, then penned epic sagas about said paper doll families. Brooke lives in the woods with with her nerdy husband, their four wicked children, and two handicapped dogs. She is a passionate Autism Spectrum Disorder advocate, a former foster mom, and a part time lunch lady. Brooke's stories are written to make you laugh, cry, sigh, and stay with you long after you've closed the book. She proudly writes PG13 romance that can be enjoyed by both adult and teen readers, and considers her readers to be the absolute coolest peeps alive.